Men's styling products can quite often be ordinary and, while useful, unimpressive. This is not so with the California-based Hanz de Fuko products. The mission of Hanz de Fuko is to create a line of organic hair care products that are also effective. This is not always an easy task. Even if you're less concerned about things being "organic" or "all-natural," hair care products should definitely be effective. To that end, Hanz de Fuko does not disappoint. You can also appreciate that these products are made in the U.S.A. (despite the fancy name) and that they are not tested on animals. This has become one of my favorite shampoos. The product does a great job of cleaning the hair and scalp and it rinses away completely. The shampoo has a very pleasant fragrance that does not linger after it is rinsed out, either. The ingredient list reads more like a spice rack with tasty little things like sage, eucalyptus, spearmint, clover, apple, and orange. This shampoo is also free of sulfates and parabens which some say may increase your risk of cancer. Yet, you'd be hard pressed to eliminate these chemicals from your life entirely. It is a nice touch that the Hanz de Fuko Natural Shampoo is free of them. I’m not exactly sure what apple and pomegranate are going to do for my hair. What I do know is that the shampoo cleans well and leaves my hair manageable and with a nice shine. Like the Natural Shampoo, Hanz de Fuko Natural Conditioner is free of sulfates and parabens. 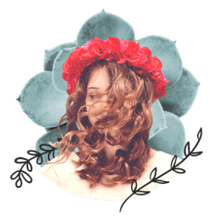 I like the conditioner because it leaves the hair feeling thicker and well-conditioned, but it rinses away clean without leaving any heavy buildup. I’ve found it very suitable for fine hair and it seems to actually leave my hair feeling a bit thicker. The conditioner has a nice little menthol kick, too. This is a unique product that offers a medium hold and a more natural shine. It works very well for styling those “bed head” styles. It also works well for any style where you’re looking for a medium, flexible hold. I’ve found myself grabbing Scheme Cream more often than most of the other stuff in my arsenal. I like the way it holds my fine hair and gives me a little shine without the heavy, greasy feeling of a lot of other creams. The hold lasts all day and it doesn't lose control on those humid days we enjoy so frequently in the South. Most average guys will see the term “hybridized wax” and go, “huh?” We’ll just call it a water-based pomade to make things simple. On a scale of one to ten, Hybridized Wax offers a hold and shine factor of about an eight. I like this product for styling up a polished, classic look. It's also a bonus that this is non-greasy, so it will wash out cleanly. 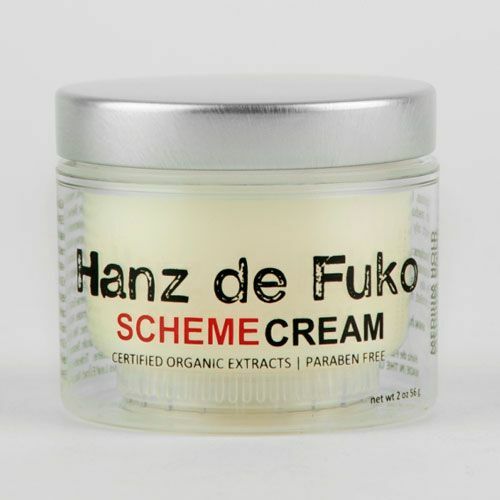 Like most other Hanz de Fuko, the product has a very light, pleasant fragrance. A cousin to the Hybridized Wax, Modify Pomade offers a similar hold, but with a slightly higher shine. This product is great if you’re looking for that “rockabilly” look where a high shine is desired. While the product is somewhat greasy, I did find that it rinses out easily. Here’s where we start getting to the really interesting stuff in the Hanz de Fuko line. Quicksand is unique in that it gives the hair great lift and volume while absorbing oil. It offers a matte finish with a medium hold and gives amazing texture -- even in fine, limp hair. The biggest seller of the Hanz de Fuko products is Sponge Wax. It offers a very low shine and a high-hold finish. The hold remains pliable throughout the day and is a good option for those looking for a strong hold that stays put. I like to use this for creating nice separation in medium to short styles. Another unique formula, this is also a really nice option for men with thicker hair who need solid control. The Good: Hanz de Fuko makes some fine products -- they’re all effective and some of the products are quite unique. The natural formulations are appealing and you have to appreciate the versatility (and simplicity) of the product line. The packaging is minimal and recyclable. The Bad: The products are a bit pricey. Yet, they are also fairly concentrated, so you do get a little more bang for your buck. The Fun: As a side note, you may also want to check out the entertaining and informative YouTube channel, Slikhaar TV. Twin brothers Emil and Rasmus Albrechsten will walk you through everything from using a flat iron to styling your coif with Hanz de Fuko’s offerings. English is not their first language, which makes the videos more entertaining -- it’s worth a look if you need some styling inspiration.